At present, it is difficult for the agricultural products to have unified packages and appropriate logistics in transportation. Most of them receive no freezing treatment when picked and harvested. The primary processing is unable to offer a low-temperature refrigeration environment. The loading and unloading process of the logistics links are mostly carried out under normal temperature. Time and method of loading and unloading cannot be standardized, making seamless low temperature convergence difficult in the logistics nodes. There are many links broken in the transport of agricultural products, therefore, enterprises cannot guarantee a complete cold chain circulation from the origin to the table. First, in the production stage, only a small part of processing enterprises in the origin of agricultural products have professional, standardized facilities for pre-cooling, grading, packaging production of fruits or vegetables when they are harvested , resulting in backward product packages , inappropriate fruit grading, and low product added- value. Second, in the circulation phase, specialized refrigerated trucks are far from enough. As temperature control is also lack of norms and accuracy, it is difficult to provide quality services. 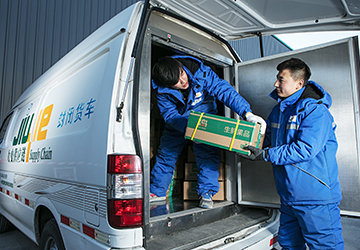 Cold chain logistics enterprises develop slowly. At present, the provinces rich in agricultural products establish few and scattered cold chain logistics enterprises, causing service singularity, imbalance between supply and demand. Most logistics enterprises of agricultural products lack automated information network. Work of warehouse, transport and distribution is still done manually, which results in poor optimal scheduling and misallocation of resources. Bringing in advanced domestic and foreign cold chain technology, fruit and vegetable sorting lines under standardized low temperature environment are to be established in the origins of agricultural products. Cold chain logistics information technology, with social cold chain transport resources, helps create cold chain trunk transport services from origins of fruit and vegetable production to the selling areas. An integrated logistics system is formed with the cooperation of selling areas' fresh agricultural products distribution centers, ensuring a whole chain. According to the diversified needs of markets, the above mentioned distribution centers will be transformed technologically, design diversified service programs for different varieties of fruits and vegetables , such as small fruit packaging for sales channels , paste bar code labels; ripening base for bananas, mango and other ripe fruits. The temperature control of the product in the processing is becoming more and more important for the agro-processing enterprises, especially for the export-oriented enterprises. 10 ℃ ~ 15 ℃ low temperature air conditioning system helps to reduce bacteria and microbial growth the in processing , improve the quality of agricultural products. For export-oriented enterprises, post-harvest pre-cooling and standardized packaging are particularly important for export enterprises to obtain export qualification and to reach the standard quality of exports. JIUYE national low-temperature distribution center, low-temperature transport & low-temperature distribution, a cold chain whole and integrated. In western developed countries, fruit and vegetable products to either supermarket system or wholesale market are stored under a good cold environment. JIUYE Supply Chain national sub-warehouse system provides fruit and vegetable transition the most suitable temperature and humidity environment, and according to different product needs, subdivides out different temperature zones. Regular training improves the management capacity of the cold storage workers in different types of fresh products. For the multi-channel supply needs of businesses, JIUYE sets up personalized value-added services, such as supplying a small amount of plastic box packaging, paste bar code labels to convenience stores, supermarkets, take-away site channels to meet their label requirements. JIUYE Supply Chain founded JIUYE transportation tracer in 2016. 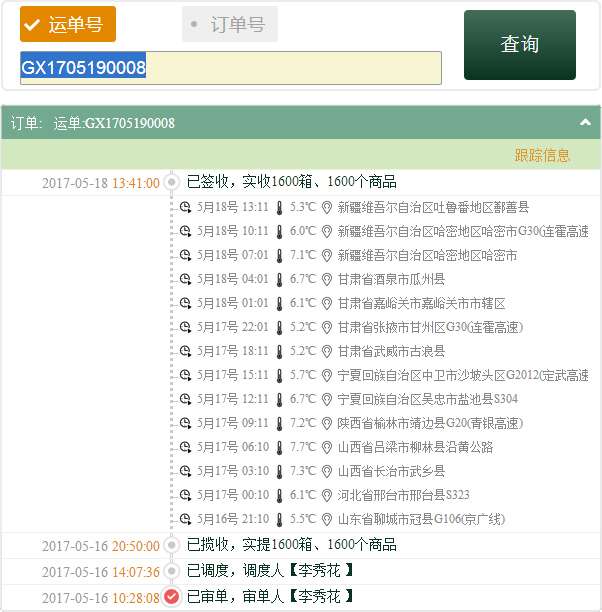 Every JIUYE fresh delivery system order will get a waybill number, and the transportation information is recorded in the system as shown in the following. The transportation management system of the JIUYE Supply Chain will mark the location and temperature of the cargo every few hours during transport until the goods arrive at the destination. The display way of Node-style information compresses the amount of information transmission greatly, making the view quick and intuitive, the query easy. European fresh food has a wide range of packages, which are scientific and reasonable. Fresh fruits and vegetables will be graded and labeled. Products tuberous and pressure-proof will be packed in small bags. At the same time, we use a special carton of sound permeability to pack vulnerable products, such as fruits and eggs. JIUYE Supply Chain sets up a professional packaging laboratory for the fresh transportation packaging. 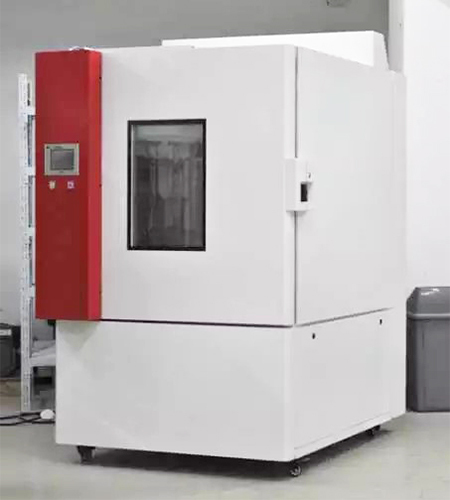 In the laboratory, JIUYE tests and continuously improves the protection of different packaging by simulating environments of a variety of temperatures, humidities and crashes. 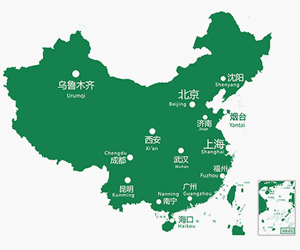 JIUYE Supply Chain has invested and constructed standardized processing plants in Hainan, Guangxi, Yunnan, Xinjiang and other origin agricultural products, making non-standard agricultural products more normative, and then to sale products to online users or offline wholesale markets. According to the characteristics of dragon fruits, we hurry to put them into the local pre-cooling center, reducing the fruit temperature quickly, which ensures that the product in the initial link reaches the temperature requirements, quality standards, and loss control limitation. All that goes far ahead of the traditional way counterparts adopt. A base storage center is set up to link the temporary storage of products when they are pre-cooled in the pre-cooling center, to support the product circulation reverse in the processing center, and at the same time, to ensure product quality. Haikou distribution center (Haikou is the only way to go out of the island) owns intensively and serves externally businesses of out -island warehousing, processing and logistics .It is an integrated center that joins businesses in-and-out Hainan Island ,controlling storage quality and route scheduling of the final stage of the out-island products in their origin. A processing center is built. It is mechanical and intelligent with careful planning and super productivity. The powerful processing center combines equipment, systems and management to ensure core values of the product center.